The Community of St. Mary is the first Anglican/ Episcopalian religious Order in the United States, founded in 1865. Benedictine in ethos, the Sisters of the Eastern Province of the Community of St. Mary seek to live a traditional, contemplative expression of the monastic life, giving Evangelical witness to Jesus Christ as Lord and Savior through Catholic faith and practice, empowered by the Holy Spirit in sanctified daily life. The Province is comprised by two houses -- in Greenwich, NY, and Luwinga, Malawi, Africa. 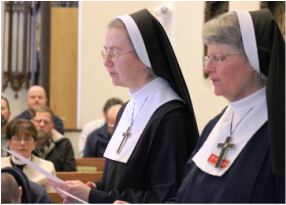 The sisters in both houses draw near to Christ through a disciplined life of prayer set within a simple agrarian lifestyle and active ministry in their local communities. 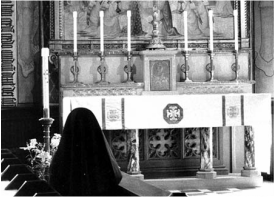 Our monastic dedication is meant to be a fundamental witness of living into and out of God's will -- not just for our individual selves, but for the sake of the Church and the whole world. This dedication creates mission opportunities and work as diverse as our personalities and gifts, but our primary focus is a lifelong working together as a community -- witnessing to God's love in prayer and worship and serving all God's people. In 1865, through perseverance and hard work with the poor in New York City, the five founding sisters of the Community of St. Mary convinced Bishop Horatio Potter to receive them as a monastic community. 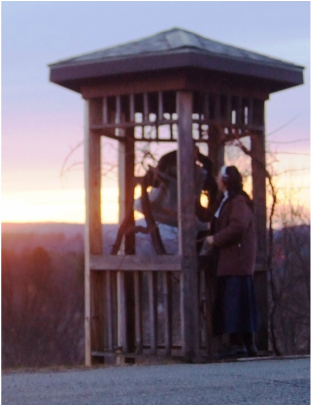 Not since the dissolution of the English monasteries in the 16th century had an Anglican bishop dared to officially constitute a religious community — one meant to be a true monastic body, not just a philanthropic sorority. The Divine Office, also known as the Liturgy of the Hours, is a prayer-filled communal celebration, an extension of our oblation of our selves with Christ in the Eucharist. 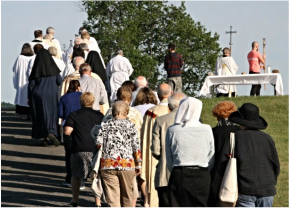 Even the private recitation of the Office is offered in union with the faithful and is considered a communal activity. For clergy or those with family responsibilities saying any of the Hours is a beneficial discipline and a sacrifice made to the glory of God.